I have been doing some housekeeping on my tree. Things like finding new hits and filling in spaces that are blank. When I find an empty date or other information I research again. I was working on my father (Thomas Dowd) side and I noticed that one of my grandmothers (Gertrude O'Rourke Dowd Graham) step daughters had no information except her year of birth. My grandmother had told me about them, who they had married and children...but, she never mentioned Rose. Gertrude's first husband (my grandfather) had died in 1921; leaving her with two small boys. She moved back with her family and helped at home and did some house cleaning. I do not know when, where or how she met Peter Patrick Graham but they got married 8 May 1929, in St. Coleman RC Church in Turtle Creek, PA. I was updating and I saw Rose C Graham born in 1911. I checked the 1920 census and did a search but could not find anything other than that census. I saw Rose on the census and she was 9 years old and not attending school. Buy the 1930 census the other siblings were living with my grandmother, Catherine, Dorothy, William and Clara Louise. I thought Rose probably married, but no records, no Family Trees no Social Security Index either. 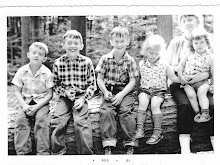 Rose had been institutionalized at Polk State School in Venango County PA. It was a school for people with intellectual disabilities. There was no information of relatives but the place of burial was listed as Allegheny County PA. That is where she had been born and lived. 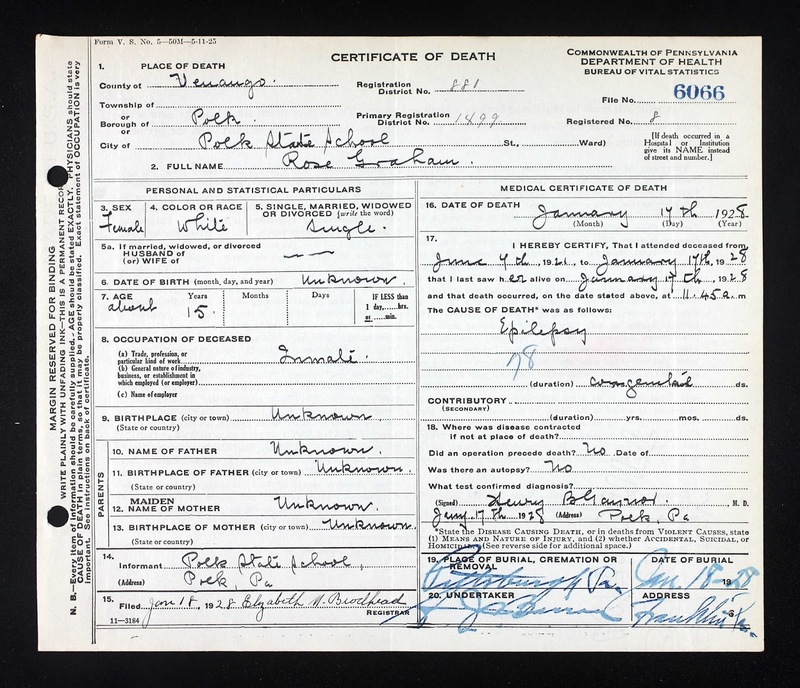 Her date of death was 14 January 1928 and burial was 18 January 1928. Her mother, Catherine Burke had died in 1925 and I am thinking that the husband could not take care of her and her siblings would have been too small, so she was admitted to Polk School. I will see if I can find some records, but in Pennsylvania I know those records are sealed. Now I must search for where she is buried.